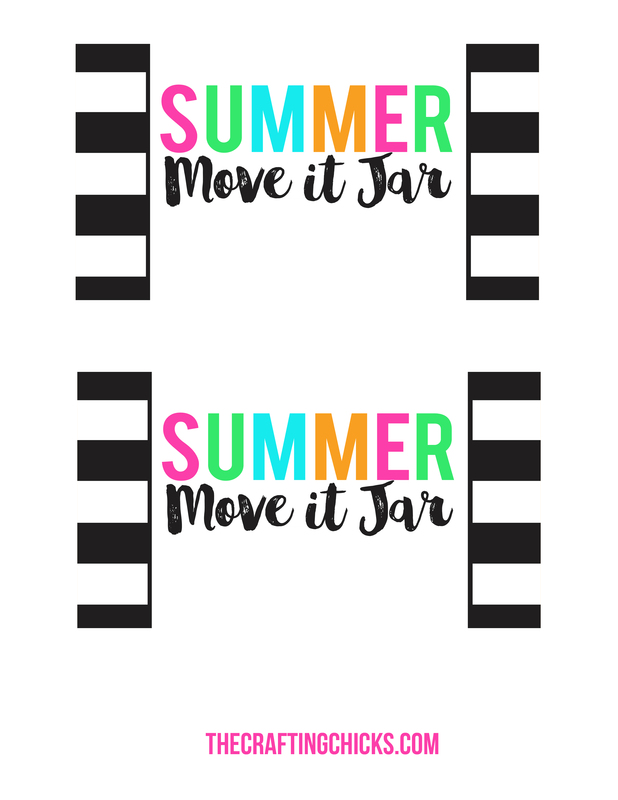 Summer Move it Jars to help get your kids moving this summer! This is a fun way to get kids excited about physical exercise at home. 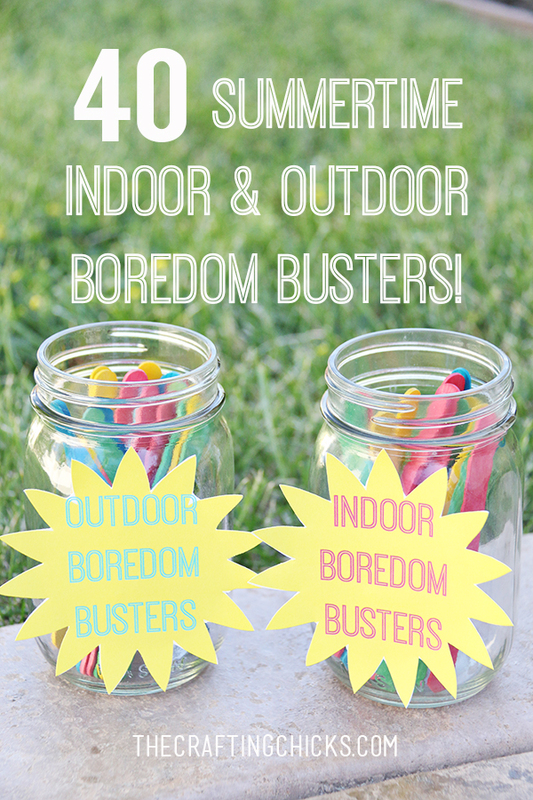 We are a week into summer now…and my kids are needing a fun way to beat boredom. What better way than physical activity. 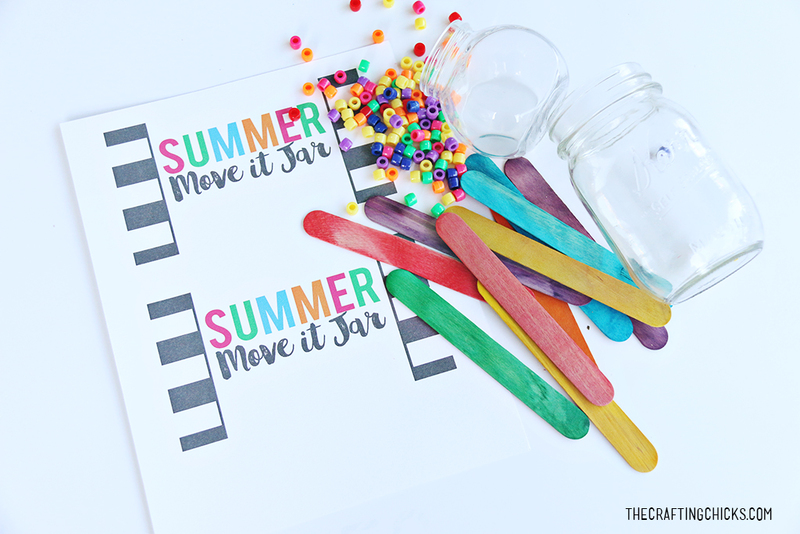 This week on The Crafting Chicks we are sharing fun ideas to help you kids stay physically active this summer as part of our Mother Hen Summer. 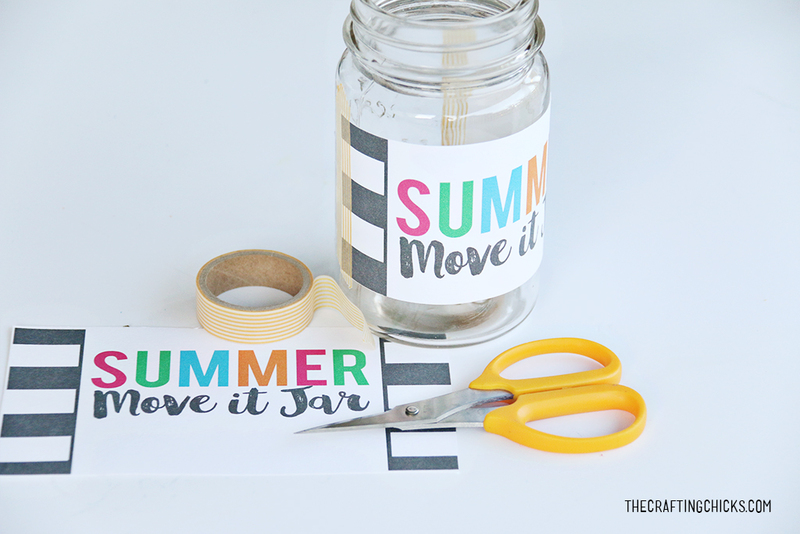 Cut out the free printable “Summer Move it” Jar Label and tape to the outside of a mason jar. 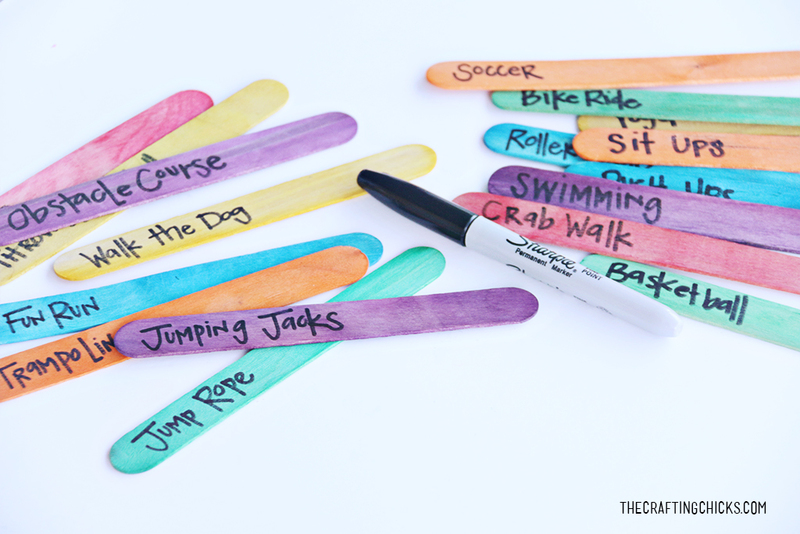 Using a black marker, write down ideas for physical activity on large popsicle sticks. I loved using bright colored sticks. 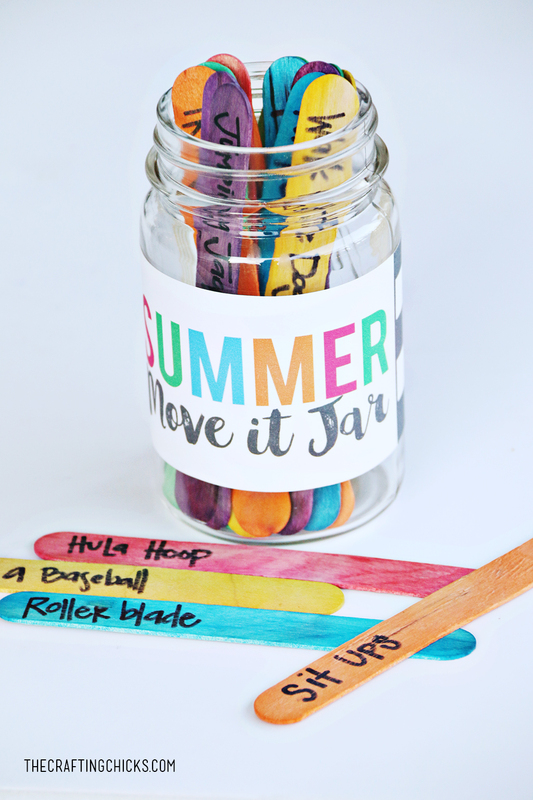 Add the sticks to the mason jar and let the kids pull one out for a fun way to exercise this summer. 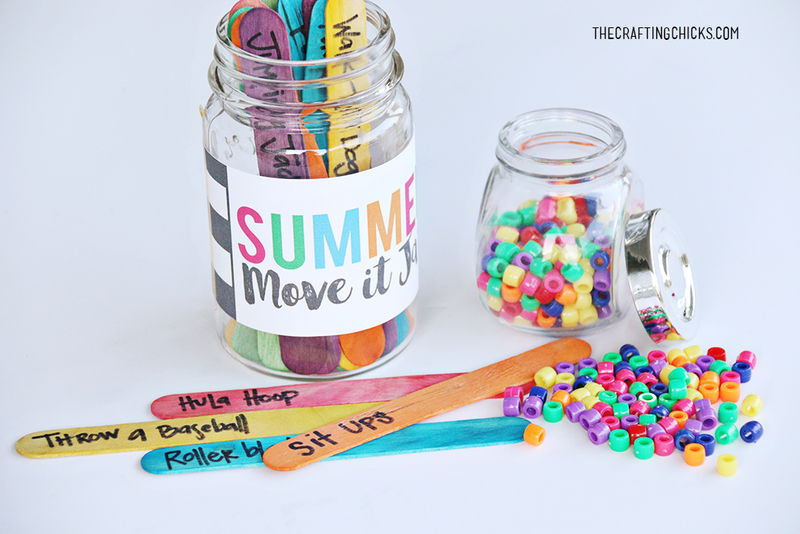 As a little incentive for staying physically active this summer, my kids will add a bead to their mini jar for each time they exercise. Each bead represents 10 minutes of physical exercise. 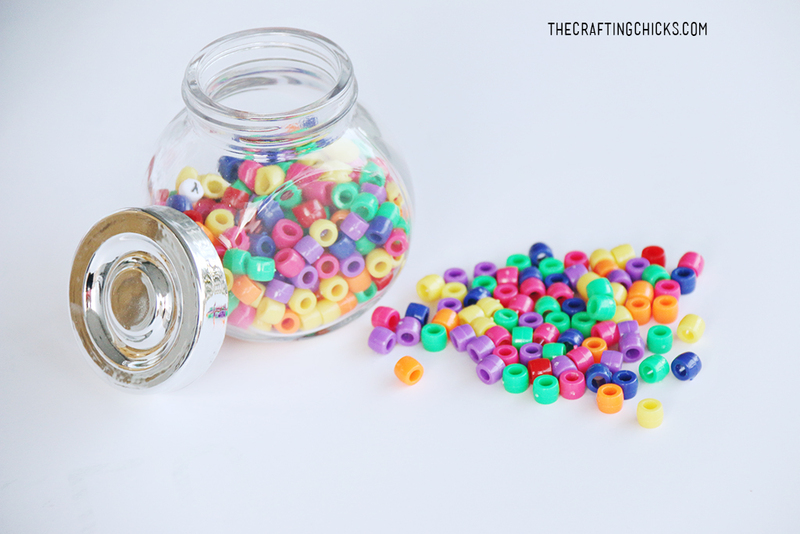 My kids are excited to fill their jars with beads and celebrate with a fun family activity together. For more Summer Fun and Summer Boredom Busters, Check out the Fun Ideas below! 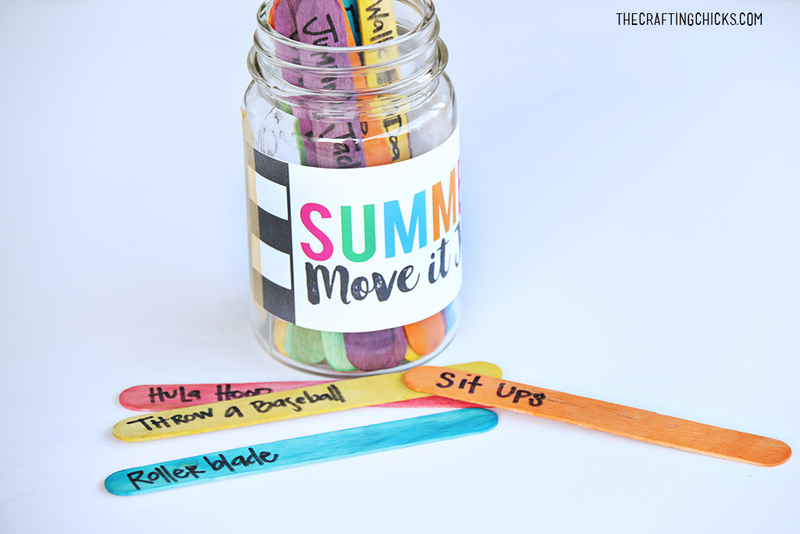 Add family activities to this summer fun chart. 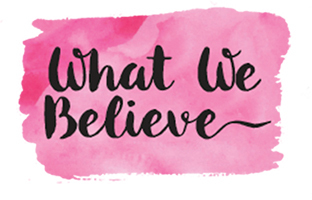 Brainstorm ways you can play together as a family and create memories this summer. Beat summer boredom with these 40 fabulous ideas for indoor or outdoor! Play this fun game with your family. 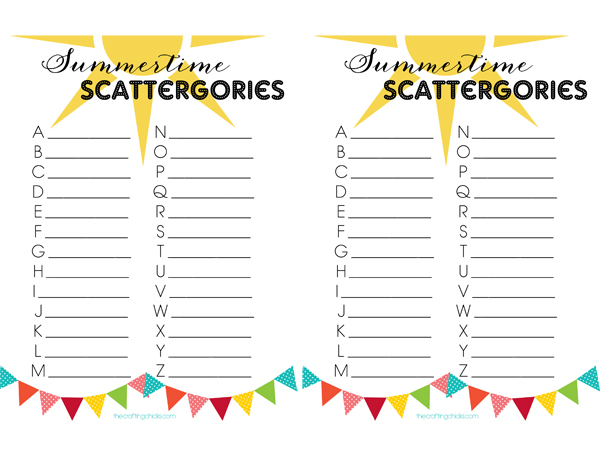 Name as many summer words as you can from A to Z!